The infamous Russian monk, a favourite of Czar Nicholas II and his wife Alexandra Fyodorovna, was born into the family of the peasant Yefim Novykh, at Pokrovskoye, Siberia. His original name was Gregory Yefimovich Novykh (1869–1916). 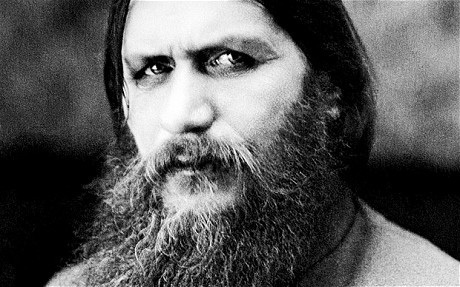 As a religious fanatic he led a dissolute life and was given the nickname Rasputin [from the Russian ‘rasputny’ meaning debauched’ or ‘dissolute’], which he subsequently adopted as a surname. An earlier uncomplimentary nickname had been ‘Varnak’, a Siberian word meaning ‘vagabond’ or ‘runaway thief’; Rasputin was the son of a horse-stealer and one himself, and established his notorious reputation while still young.